There are parts on your road bike or mtb which wear-out with regular use. How often they will need replacing depends on several factors; the amount of use it gets, what conditions the bike has to endure, how clean it is kept and how well maintained it is. 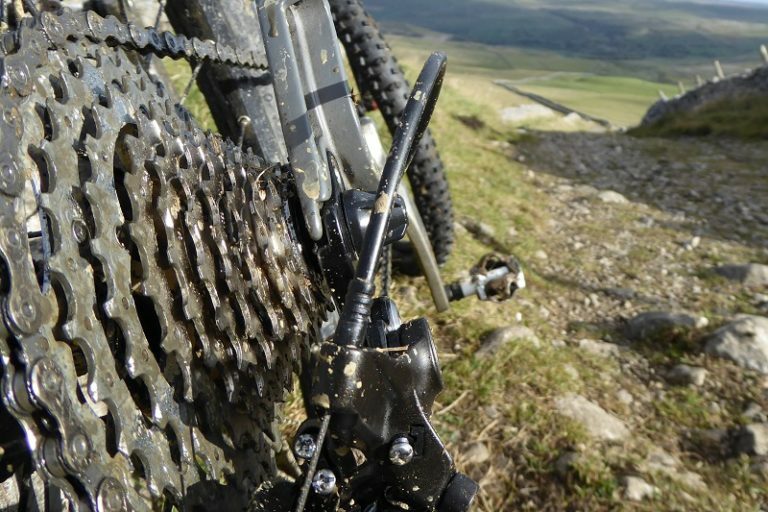 Replacing worn components before they fail, reduces the chances of your bike breaking or leaving you stranded in the middle of nowhere. As tyre rubber wears thinner, punctures occur more often, more cuts appear and tyres lack grip. If you are lucky enough to have decent quality roads, it is possible to wear tyres down to the casing, however this is not a great idea – bikes need grip and tyre casing doesn’t provide grip. 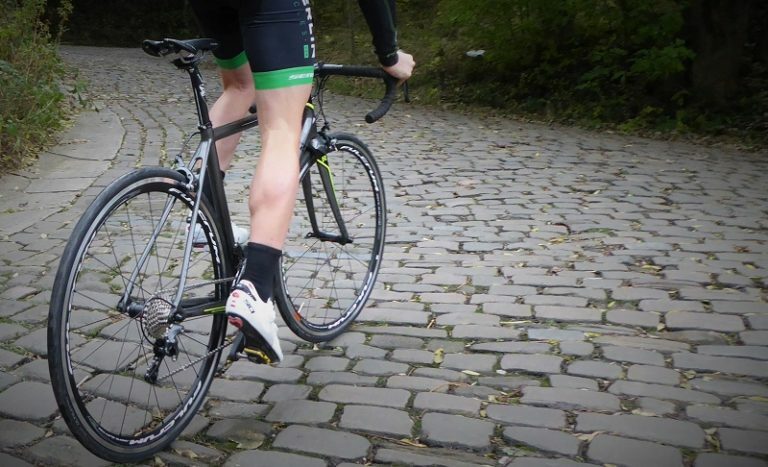 Thinner race tyres tend to wear out quicker than heavy-duty, puncture-resistant training tyres. All rubber is not made equal and some tyres tend to last longer than others. Even the best, hand-made, newly fitted tyres can puncture, see below Sep Van Marcke (Lotto Jumbo) very early in the 2015 Het Neiwsblad. 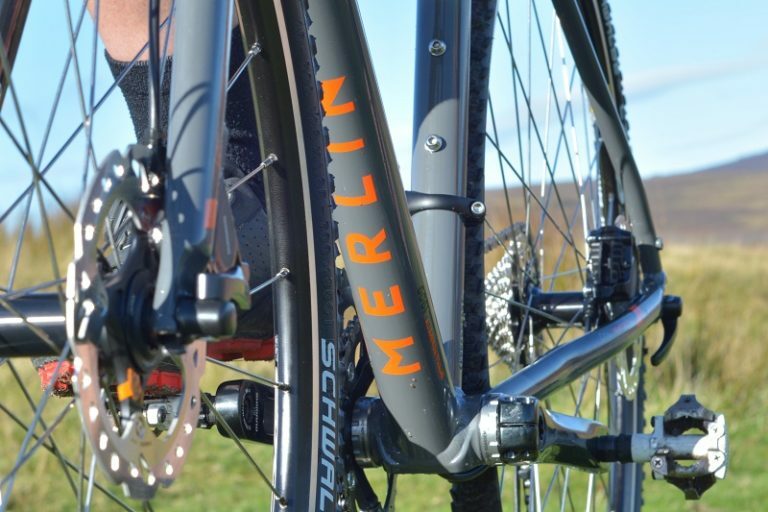 Check out Merlin’s range of road tyres here, MTB tyres here. TIP: If your tyre splits while on a ride, pack the inside of the tyre with an empty gel wrapper or anything similar to hold the inner tube in. Constant wearing contact means that cassettes and chains gets worn. 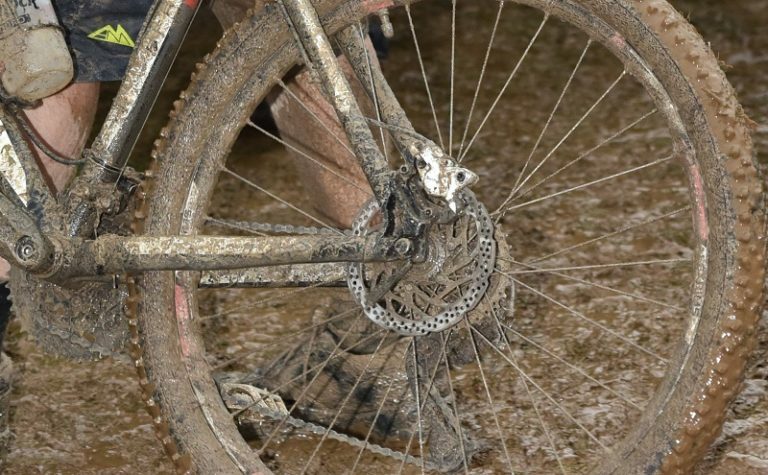 Keeping the chain and cassette clean and lubricated can dramatically improve their lifespan. Using a chain checker tool and changing chains when the wear gets to between 0.75% and 1.0% (on a Park tool) should result in two chains lasting one cassette. Replacing the chain at the right time should ensure the chainrings should also last well. When worn chains get over 1.0% they can start to jump sprockets. A worn chain can also start to wear the chainring teeth into a sharks tooth profile. Learn how to replace a cassette here. TIP: Keep it Clean! Regularly use degreaser on your chain, cassette and chainrings before applying fresh lubrication. Brake and gear cables eventually stretch and gain friction. Regular day-to-day use and the powerful springs in the brake calipers and gears constantly pull the cables and can take their toll. Stretched gear cables make correctly setting up gear shifting very tricky. Reduce gear cable stretch by always leaving your bike on the smallest gear on the cassette and the small front chainring when not in use. As well as reducing cable stretch, this extends the life of the front and rear gear springs too. Check out Merlin’s replacement cables here. Cables gain friction when dirt & rain etc gets in between the inner and outer cable and when cable lubrication becomes ineffective. TIP: Exposed gear cables can also be effected by sweat and electrolyte drinks dripping onto and running down the cables. Don’t forget gear cable guides under the bottom bracket. 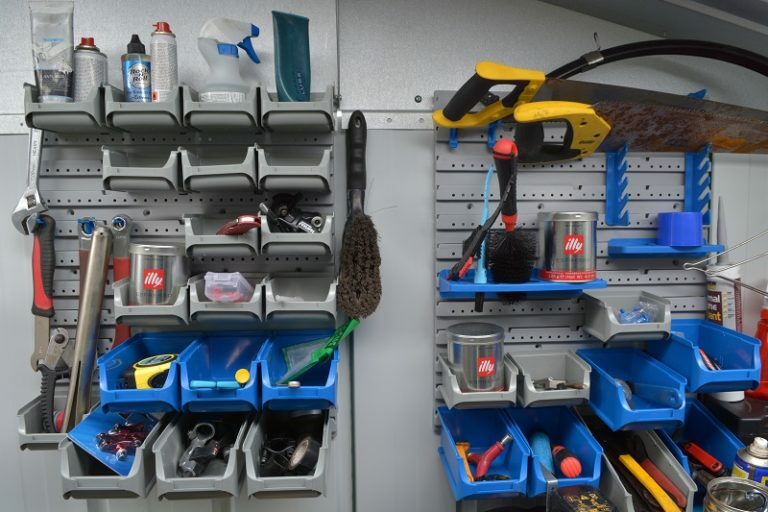 Keep guides clean and lubricated to keep the cables running smoothly. Most wheel rims have wear-indicators on the rim side wall to indicate wear. Braking gradually erodes the braking surface, making the rim wall thinner, they eventually crack. This can be catastrophic. The tyre bead on clincher tyres is pushing the rim wall from the inside when tyres are under pressure. Rim wear can be minimised by keeping rims and brake blocks clean, check their level of wear whilst cleaning. Merlin’s range of road wheels are available here and mtb wheels here. TIP: Give your rims a quick clean after each ride, removing any dirt / grit can help your rims last longer. Disc brake rotors eventually wear very thin, but at least they are easier and more cost-effective to replace than worn rims. Keeping them clean and replacing pads, before they get too worn will minimize the wearing process. Replacement rotors for brakes are available here. TIP: Avoid lube getting on rotors when lubricating your bike’s cassette. Bearings in bottom brackets spin smoothly under huge loads and eventually they wear out. When play can be felt through the cranks and cannot be adjusted out with the pre load adjuster, it is time to replace your bottom bracket. Bottom brackets often give an audible sign that they are in need of replacement with an annoying clicking sound. TIP: When fitting a new bottom bracket, use the preload adjuster to take out any play in the cranks. Tightening the pre-load adjuster untill its extremely tight will drastically reduce the life span of your new bottom bracket. Bearings & cups or cartridge bearings get worn. They either feel gritty or loose as they near the end of their life. Keeping the headset well lubricated (and well-adjusted – using the top cap adjuster) will maximise it’s life. However headsets do eventually need to be replaced. TIP: An aditional neoprene cover on a headset can give another layer of protection from the worst of the elements for those ‘pure filthy’ days on your MTB, cyclocross or gravel bike. Three things get worn on most clipless pedal systems; bearings, springs and cleats. Bearings can be adjusted as they get worn to stop play developing between the axle and the pedal body. As pedal springs get worn, the tension adjuster bolts can be used to increase tension and extend pedal life. Cleats get worn down through rubbing against the pedal while riding and through walking. TIP: Position pedal cleats accurately so that paint or anodizing doesn’t get rubbed off cranks. Allow extra clearance if you regularly use overshoes through winter. Wheel hub bearings eventually get worn. Most cup / cone bearings can be adjusted or eventually replaced. Cartridge bearings need to be replaced when they get worn. Check the rim wear before replacing bearings, if the rims are near the end of their life it could be more cost-effective to replace the wheels. TIP: Open and close quick release skewers if they have been closed tightly for a while. If they are stuck when you need to open them, in the cold when you have a puncture, and it’s raining – it’s not ideal. MTB suspension needs a bit of regular TLC to keep performing as it should. To keep the lubricating oil or air in, and dirt out, suspension forks and rear shocks rely upon seals. Seals eventually get worn, the oil also needs replacing regularly and internals cleaned to ensure a long life for the suspension unit / fork. Check out Merlin’s replacement forks here. Pivots for rear suspension get worn too and need replacing when there is noticeable play between the swing arm and the frame. TIP: If suspension is frequently bottoming out, check your sag. Attach a zip-tie to the stanchion against the seal and sit on the bike while leaning against a wall. Bounce up and down and then while in your regular riding position slide the zip tie back against the seal on the stanchion. Jump off and check the sag, aim for around 20 – 25% of travel. Frame manufacturers estimate various life expectancies for their frames. The biggest effect on the expected life of a frame is how much use (and abuse) the frame gets; It could be ridden once a week for 50 miles on smooth roads by a careful, fair weather rider, or every day on cobblestones, in all weathers or even raced every weekend. 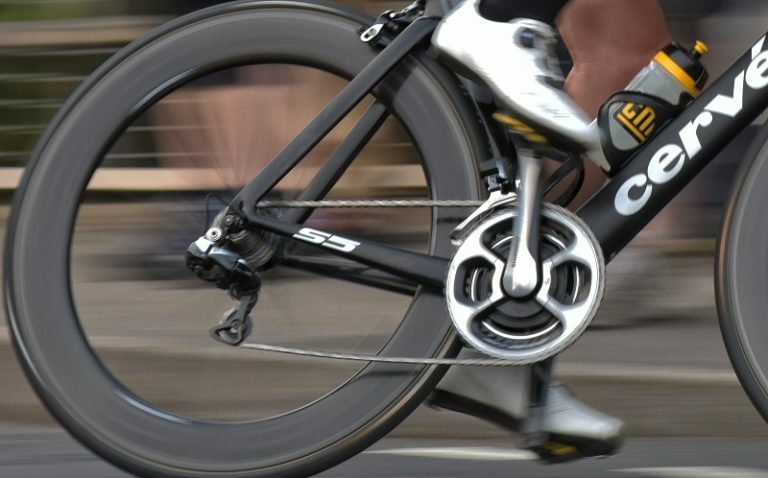 Bikes ridden by pro’ riders in training and racing are given the ultimate test through their life, both in terms of volume of miles used and power / stresses they have to endure over extended periods. TIP: Keep it clean! Regularly cleaning your frame and forks gives more opportunity to spot any cracks, ripples or any other issues. A six monthly strip down and rebuild for well-used bikes is ideal for checking wear and spotting any issues early. Following any crashes, no matter how minor, always fully check the frame and forks. Any signs of a cracking or unevenness in the surface of the frame need to be properly checked. It is advisable to replace load-bearing components (like carbon road forks) fairly regularly and although modern bikes are amazing, they won’t last forever. Unfortunately, it is impossible to know exactly how long specific parts will last. While it might sound like a bike shop suggesting cyclists buy stuff – Merlin Cycles recommend going on the side of caution. Damage to your bike caused by poorly maintained roads while riding, can on occasion be paid for by the local council. In 2014 nearly 50’000 claims were made for damage to vehicles caused by potholes. Although 72% were rejected, councils still paid out over 3.2 million pounds for the year. Follow the advice here to maximise your chances, the process is the same for all vehicles including bicycles. Keep your bike clean and lubricated after all, it keeps you fit, carries you up hill and down dale and even cheers you up. It deserves to be well looked after. Learning how to do minor bike mechanic jobs, such as cassette & chain replacement (see our guide) or replacing / updating components will save you money. For newer riders, minor jobs on your bike will give you more awareness of how your bike works. Inspecting regularly for any signs of damage or anything which could cause an issue on future rides is vital for your safety and your bike’s longevity. Tagged bicycle maintenance, bicycle mechanic, bike component wear, bike maintenance, bike mechanic, bike parts wear, cycle mechanic, worn bike bits. Bookmark the permalink.